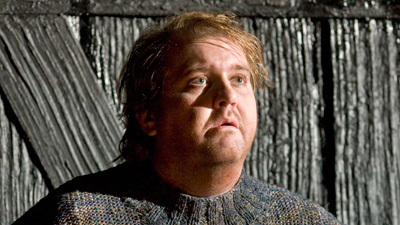 Philip Langridge delivers a searing performance as the title hero, a fisherman accused by a hostile community of causing the death of his apprentice. Patricia Racette is Ellen Orford, the woman who stands by him, and Alan Opie sings Captain Balstrode, the man who realizes he is unable to protect Peter. A young Stephanie Blythe is Auntie, the innkeeper, and David Atherton conducts Britten’s first and most successful opera.